Sometimes life is like eating cold French Fries—boring, tasteless, and uninspiring. We need a lift; in fact, we need more than a lift. We need wings to get off the ground and fly so we can achieve our potential. 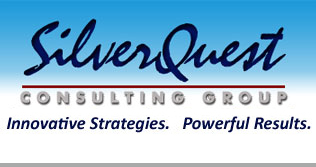 We at SilverQuest can provide that lift through inspirational and entertaining keynotes and presentations. If you or your company needs to smile, laugh, or get inspired and motivated, we can help. Our speakers specialize in inspirational, entertaining keynotes and presentations. We can speak at conferences, special occasions, luncheons, and training events. We can provide popular presentations or customized presentations. Our goal is to provide quality content in an entertaining way to produce good feelings and good will for you and your company. We aim to inspire you to fly to greater heights of success.